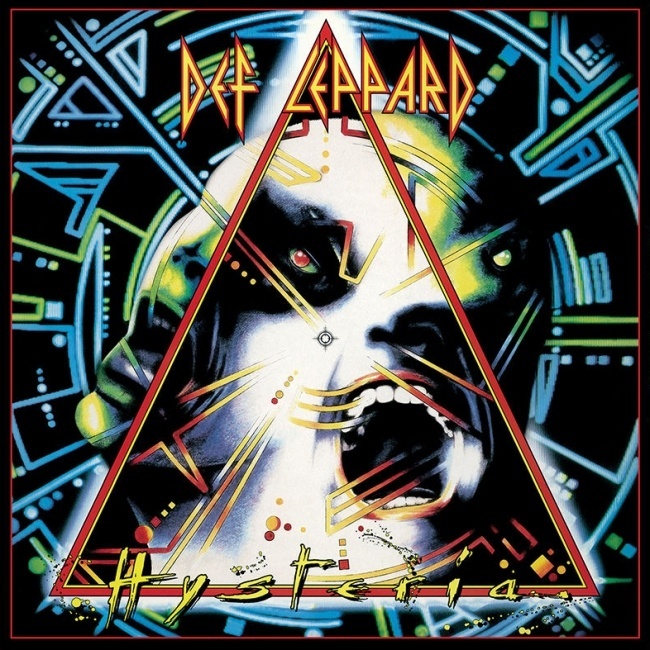 Def Leppard's classic Hysteria album was certified 8 times platinum in the USA on this day in 1988. The album had been released on 3rd August 1987 and took just over three weeks to enter the Top 200 chart. 11 months later it would peak at Number One on 23rd July 1988 in its 48th week on the Billboard charts replacing Van Halen's 'OU812'. 'Hysteria' entered the Billboard Top 200 chart on 22nd August 1987. The first of 133 weeks on the chart. It would go on to spend 6 weeks at number one (including a 3 week stint in September) and 133 weeks in total on the chart. Just ahead of reaching the top spot it was certified for 5 million sales on 13th July 1988 and was at Number 2 in the same week. It was certified 8 times platinum on 30th November 1988 having gone 7 times platinum on 27th September. This meant the band had become the first act to have back to back septuple platinum albums in the USA. It was certified 9x Platinum by January 1989 and has since reached over 12 million sales in the USA. By May 1990 it had sold over 10 million copies in the USA alone. 12 million by 1998. The band were given a Diamond Award in March 1999 in recognition of it being one of the albums that had sold over 10 million copies in the USA. Read some comments about this album below and a comprehensive Making Of Special from August. "Our most popular album to date." "It was Mutt's idea to make a rock version of 'Thriller' - rock songs that were hit singles. We were fortunate enough to have seven strong singles from this record." "Mutt Lange was very influential here. We seemed to be making a video every few weeks." "We were in the top ten all over the world at one time or another." "I do think Hysteria was a kind of a sparkling star on our career. You know, icing on the cake and all that. But I think this is the best thing we've done since then. It's called Def Leppard. It's really diverse." "I actually bought 'Hysteria' twice, I wore out the cassette I played it so often and then I bought one of those new fangled compact discs."